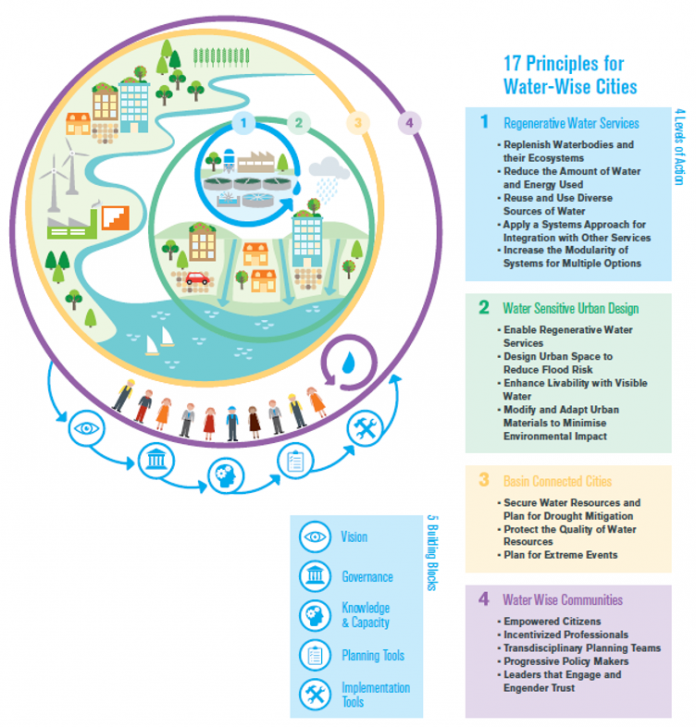 At the World Water Congress and Exhibition in Brisbane today, the International Water Association launched the Principles for Water Wise Cities, with a call for further cities to provide their endorsement. The IWA developed the Principles for Water Wise Cities to inspire change amongst urban and local leaders and catalyse a shift in the current water management paradigm to make cities more resilient and liveable. The Principles for Water Wise Cities outlines a framework to assist urban leaders and professionals to develop and implement their vision for sustainable urban water and resilient planning and design in their cities. Through the Principles, urban leaders, water managers, individuals and other stakeholders are inspired to collaboratively find solutions on urban water management challenges, and implement water wise management strategies through a shared vision that will enable the development of flexible and adaptable cities. Following the World Water Congress & Exhibition, the Principles will be brought to the United Nations Habitat III Conference in Quito, Ecuador, where the Cities of the Future programme will push integrating water into city planning for sustainable development, resilience, and increased liveability in the New Urban Agenda. In Quito, individuals and organisations will sign a pledge to “Collaborate for Water Wise Cities” to cooperate across boundaries, scales and disciplines to implement sustainable urban water when implementing the New Urban Agenda.